Reverse description: Radiate Sol standing facing, head left, holding globe, right arm raised, chlamys over left shoulder. 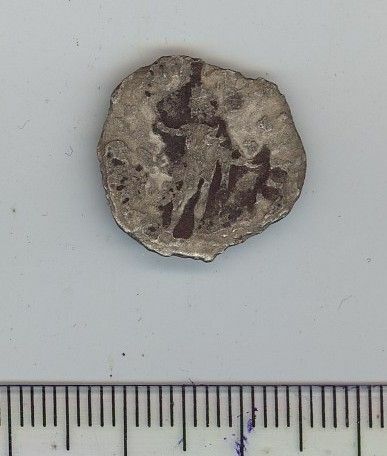 Roman silver denarius of Nerva. Coin is slightly worn but otherwise in reasonable condition. Measures 17.2mm diameter by 1.6mm thick. Weight = 3.22g. 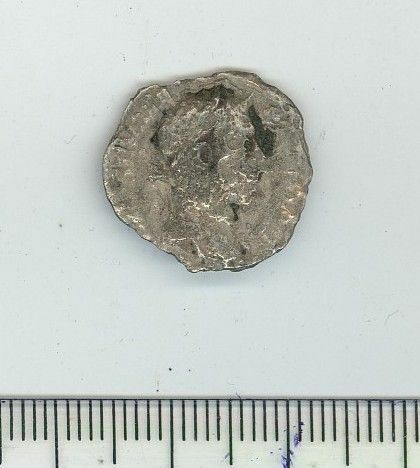 A slightly worn, corroded and damaged silver Denarius of Septimius Severus. Measures 16.2mm diameter by 1.9mm thick and weighs 2.16g.